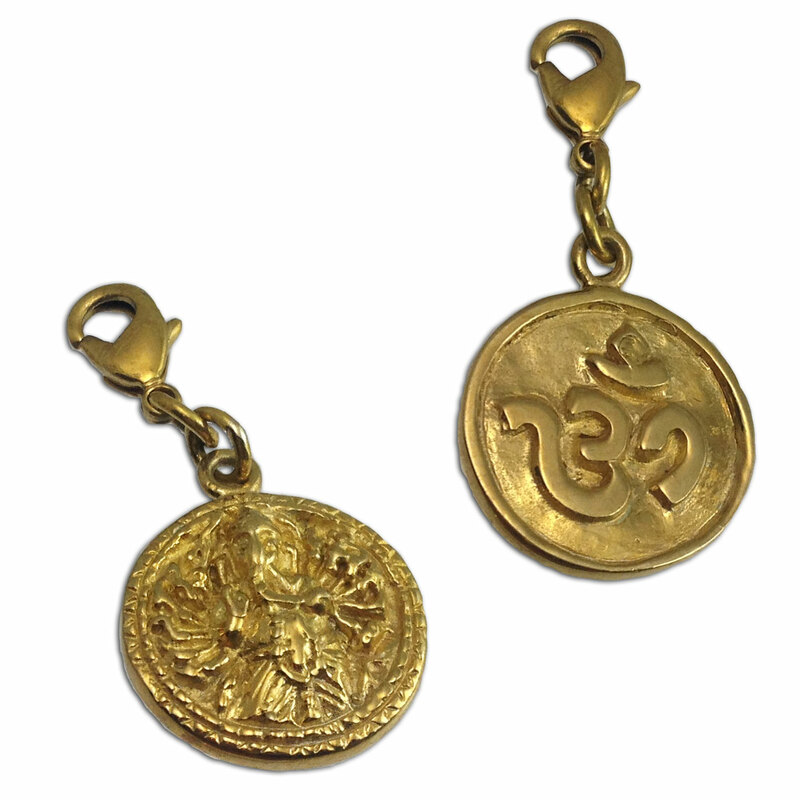 Ganesh and Om coin charm is double-sided, reversible pendant with a spring clasp. A unique design with a traditional style ganesh on one side and classy aum on the other. Ganesha is the bestower of wisdom and remover of obstacles and Om means universal truth. The spring clasp makes it so you can easily change the charm out and reverse it. Part of our charmas, good karma charms collection. Recycled Brass gold-tone. 1.4 cm + 1 cm clasp, 3.5 g.